Due to continued commercial success Benthic Solutions Limited (www.benthicsolutions.com) is recruiting a Project Manager to be based at our new purpose-built facility in Norfolk. 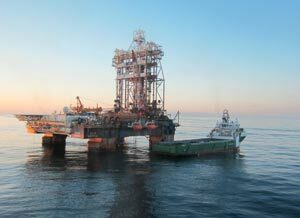 Benthic Solutions Limited is a marine environmental survey and consulting company delivering a broad range of services to the oil and gas, offshore renewable, utility and aquaculture industries worldwide. The position is offered on a full-time basis with a competitive salary and benefits commensurate with experience and qualifications. Applicants should possess a minimum of a BSc degree in a relevant subject and have 3-5 years’ experience of working in the commercial survey industry. This is an excellent opportunity for an enthusiastic individual to join a dynamic team. To apply please send your CV with a covering email to Samantha Kemp at (samantha.kemp@benthicsolutions.com) or by post to Benthic Solutions Limited, Elanco Works, Hoveton, Norfolk, NR12 8UH. Closing Date is Sunday 21 April 2019. Due to continued commercial success, Benthic Solutions Limited (www.benthicsolutions.com) is recruiting a Marine Benthic Taxonomist to support the growth of the company’s taxonomic capability at our new purpose-built facility in Norfolk. Sieving, sorting, identification, enumeration and biomass of marine and estuarine benthic fauna, including all phyla from intertidal regions, shelf seas and deep waters from around the British Isles and internationally. Efficient and accurate recording of data and preparation of final outputs to be provided to reporting team and clients. 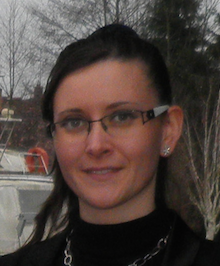 Maintaining the standards of a nationally recognised quality control scheme. Development, maintenance, storage and dispatch of sample reference collections, both in-house and for clients. 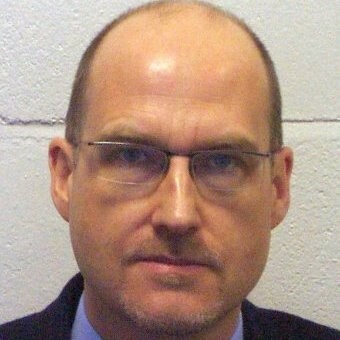 The preferred candidate will be a self-starting individual with experience in all of the above tasks, ideally possess the ability to identify the majority of benthic fauna from around the UK with moderate levels of supervision and appreciate the need to work quickly and efficiently within a commercial laboratory. Short-listed candidates will be required to demonstrate their skills in the following aspects of the work: accuracy and speed of sorting and identification of macrobenthic taxa, breadth of knowledge and enthusiasm for the subject. The position is offered on a full-time basis with a competitive salary and benefits commensurate with experience and qualifications. Applicants should possess a minimum of a BSc degree in marine biology (or relevant subject) and have at least 2 years’ experience of working in the lab environment preferably for the commercial survey industry. This is an excellent opportunity for an enthusiastic individual to join a dynamic team. Benthic Solutions Limited, an integrated environmental survey company, is attending Ocean Business 19 at the National Oceanography Centre in Southampton between the 9th and 11th April 2019. Please contact us if you are interested in meeting with a member of our team during the exhibition to discuss BSL’s innovative equipment and service delivery. We look forward to seeing you there! Due to continued commercial success, Benthic Solutions Limited (www.benthicsolutions.com) is recruiting up to two experienced or trainee marine scientists based at our new purpose-built office in the heart of the Norfolk Broads. Benthic Solutions Limited is a specialist marine environmental survey and consultancy company delivering a broad range of marine science services to clients in the UK and worldwide. The company is a market leader in the provision of bespoke environmental surveys for the oil and gas, offshore renewable, utility and aquaculture industries. The role involves working globally in a variety of interesting marine environments from the shoreline to full ocean depth. You will be involved in all aspects of the business, including; project planning, client liaison and field survey, through to interpretation of physico-chemical / biological / geophysical data and compilation of reports. The positions are offered on a full-time basis. Applicants should possess a minimum of a BSc degree in a relevant subject and ideally have experience of environmental survey and/or consultancy. This is an excellent opportunity for enthusiastic individuals to join a dynamic multinational team. The position comes with a competitive salary and benefits commensurate with experience and qualifications. Closing Date is Monday 21 January 2019. Happy New Year from all at BSL! We are pleased to announce that 2019 will begin with BSL's relocation to our new purpose-built office/warehouse at the end of January as the first stage of development by BSL of the new Hoveton Science Park. We would like to express our thanks to all of you who worked with us on these diverse and interesting projects during 2018 and we look forward to another year of successful collaboration. Due to continued commercial success, Benthic Solutions Limited (www.benthicsolutions.com) is recruiting up to three experienced or trainee marine scientists based at our riverside location in the heart of the Norfolk Broads. The role involves working globally in a variety of interesting marine environments from the shoreline to full ocean depth. You will be involved in all aspects of the business, including; project planning, client liaison and field survey, through to interpretation of physico-chemical / biological data and compilation of reports. The positions are offered on a full-time basis. Applicants should ideally possess a minimum of a BSc degree in a relevant subject and have experience of environmental survey and/or consultancy. This is an excellent opportunity for enthusiastic individuals to join a dynamic multinational team. The position comes with a competitive salary and benefits commensurate with experience and qualifications. To apply please send your CV with a covering email to Samantha Kemp at Benthic Solutions Limited (samantha.kemp@benthicsolutions.com) or by post to Benthic Solutions Limited, Elanco Works, Hoveton, Norfolk, NR12 8UH. Benthic Solutions Limited will be attending this year’s Oceanology International at ExCeL London between the 13th and 15th March 2018. Please contact us if you are interested to meet with a member of our team during the exhibition (enquiries@benthicsolutions.com) to discuss our innovative protocols. We look forward to seeing you there! Benthic Solutions Limited will be attending this year’s Ocean Business at the National Oceanography Centre in Southampton between the 4th and 6th April 2017. Please contact us if you are interested to meet with a member of our team during the exhibition to discuss our innovative protocols. We look forward to seeing you there! 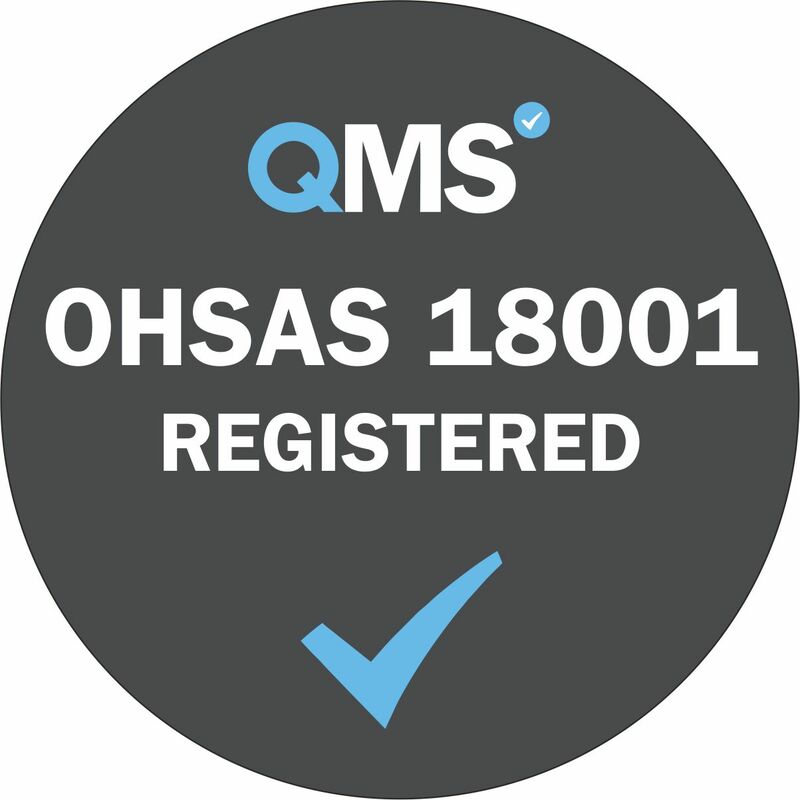 Benthic Solutions is delighted to announce that in recognition of our commitment to occupational health and safety and our fully implemented safety management system, the company was awarded its OHSAS 18001 accreditation in December by QMS International PLC. This, along with our existing ISO 9001 and ISO 14001 certificates for quality assurance and environmental management, along with our ongoing participation in the NMBAQC scheme demonstrates BSL’s commitment to continual improvement and to providing the highest quality services, safely to our Clients. After weeks of glorious sunshine the team had a chance to get out on the beach at West Runton. Norfolk. However, today we weren’t so lucky with the weather, bearing intermittent torrential rain and a howling gale as the tide went out. We were all there to search for evidence of lugworm reproduction (Arenicola marina) for Capturing our Coast, a Lottery funded organisation which coordinates marine survey of our coasts. 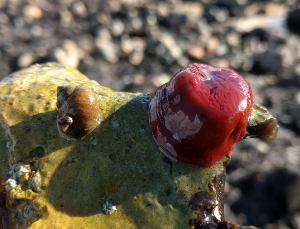 It was a great opportunity to investigate the rockpools and identify intertidal species including Coralina sp., Fucus serratus and 3 sponges which are rare for the Norfolk coastline. BSL are delighted to announce their registration with Achilles First Point Assessment (FPAL) in the spring of this year. FPAL is used by buyers to identify, qualify, evaluate and monitor suppliers on their behalf. It is an industry-run community of operators, contractors and suppliers working in collaboration to promote a fair and transparent supply chain. Through our subsidiary Subacoustech Environmental Limited, we have also been registered with Achilles UVDB for a number of years. Achilles UVDB provides supplier management for the Utilities sector in the UK, assisting these companies manage risk within their supply chain and comply with procurement legislation. For more details of our registration please contact our team via enquiries@benthicsolutions.com or +44 (0) 1603 784726. We look forward to hearing from you! Congratulation to the whole team at BSL! 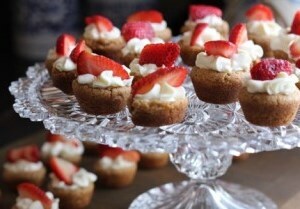 All our staff took real pleasure to bake wonderful and very tasty cakes for the Horning Boat Show on the 30th April 2016. Showcasing the very renowned Shortbread Millionaire, Cookies, Brownies, Flapjacks, Pralines, Banana Bread and Lemon Drizzle cakes but also foreign specialities such as the Austrian Appel Strudel, Spanish Tortilla and the French Frangipane, our stand attracted lots of visitors during the day! We want to thank all the visitors and supporters who permit to make this day a success. 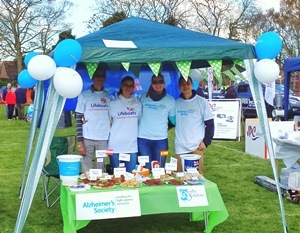 We are happy to announce that we have sold more than a hundred pieces of cakes with all donations going to the RNLI and the Alzheimer’s Society. 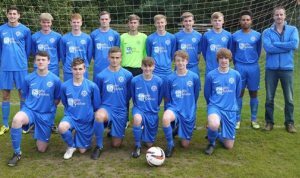 Continuing on the success from the previous year, the Marlborough Football Club, sponsored by Benthic Solution Limited continued their outstanding form for the 2015 to 2016 season. 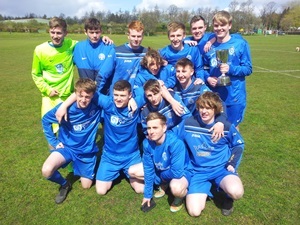 They comprehensively won the Norwich and District Under 19 Development league by winning every game with an average of over 6 goals scored per game and conceding only 6 goals all season. This phenomenal season continued when further entered into an adult cup competition within the Division 1 league, achieving a final finish against Sprowston Wanderers and winning after a 4:4 thriller, extra time and 8:7 on penalties (pictured). Further details of results can be seen on http://www.norwichsundayleague.co.uk/index.php/league-results-fixtures/under19b. This achievement was almost matched by many of the players who also play for our local under 18’s team in Wroxham, who also finishing top at the end of the season. Benthic Solutions Limited will be attending this year’s Oceanology International at ExCeL London between the 15th and 17th March 2016. Please contact us if you are interested to meet with a member of our team during the exhibition to discuss our innovative protocols. We look forward to seeing you there! In September 2015 Benthic Solutions Limited (BSL) completed a successful environmental and geophysical survey programme in the Falkland Islands. 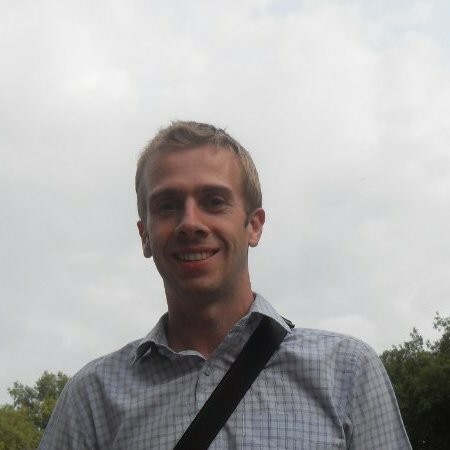 The three-month assignment comprised a multi-disciplinary approach during the southern hemisphere winter, and revealed a very complex array of habitats and diverse macrofaunal communities. The survey showcased BSL’s new underwater camera system, the MOD4. This system was designed in-house, using a ‘lessons-learned’ approach from the numerous other systems available, and utilised over many years. The MOD4 system can be used in a variety of underwater environments from poor visibility shallow water, to deep water projects in both real-time and self-contained configurations, based upon four deployment modes. It acquires still photographs of outstanding resolution (24mp) as well as high definition video footage (2mp). Development continues to ensure that this system remains at the forefront of advancements in underwater photographic technology. This system can be supplied cost-effectively with an operator; please contact us for details of how we can tailor this system to your project. In addition to Benthic Solution’s expertise in offshore and deep water projects, BSL personnel have also undertaken numerous environmental surveys in shallow water and intertidal areas in recent years. An example was carried out earlier this year for habitat assessment on multiple interconnector landfalls in both northern France and southern Ireland. Operations were undertaken during extreme low-water spring tides assessing both habitats and faunal assemblages within the route corridor from the low water mark to above the foreshore. 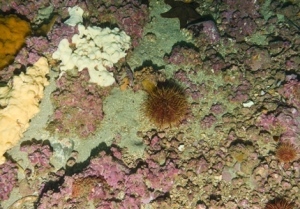 The surveys were done using a combination of geo-referenced aerial images and directed onsite using GPS devices, visually recording habitat boundaries, intertidal zones, and describing the biological assemblages. The results indicated a fascinating array of both flora and fauna which inhabit both of these coastlines. Particular highlights were a dazzling array of gastropod molluscs present along the rocky shores of Brittany, (Littorina sp., Gibbula sp. and Calliostoma sp.) 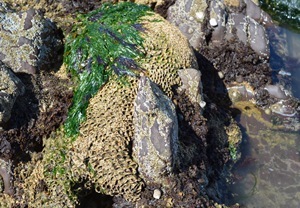 and impressive biogenic reef structures formed by the honeycomb worm Sabellaria alveolata on the beaches in Ireland (pictured), the latter a protected Annex I habitat under the European Habitat Directive. The survey was part of a multi- disciplinary pre-development baseline assessment which included vessel based operations inshore and offshore. BSL Staff assist at the Horsey Seal Colony, North Norfolk. Staff at Benthic Solutions have volunteered their time to support a public awareness poster for the visitors of the grey seal colony at Horsey, North Norfolk. After observing incidents of misbehaviour by a small minority of the public when visiting the colony, BSL personnel were proactive in providing their services and expertise to the ‘Friends of Horsey Seals’, in order to produce an educative poster with the aim to protect both seals and the public along with their dogs. 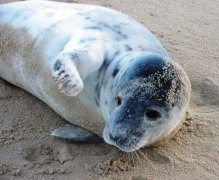 If you want to help support the scheme or require information about the seal colony and its management at this beach, please visit: www.friendsofhorseyseals.co.uk. 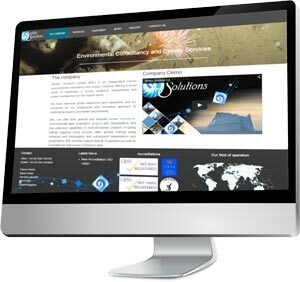 After not touching our website for 10 years, I am delighted to release the new Benthic Solutions website. This has been designed and improved to provide easy navigation through our specialised services, bespoke equipment, rental equipment, company news and operations gallery, and will be updated regularly. The new ‘Contact Us’ page should allow clients a simple request tool for further information about any of our services; where a member of our team will be happy to help you. I hope you will enjoy your visit. Benthic Solution’s extensive reputation in innovative science in the marine environmental sector has become further enhanced through our partnerships with two leading specialist environmental companies in 2014. 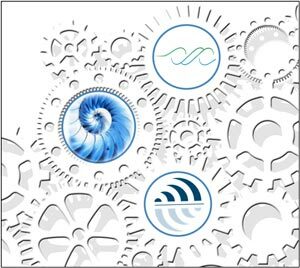 Benthic Solutions is working with both Applied Genomics Limited (specialists in the use of DNA sequencing to monitor biological impacts) and Subacoustech Environmental Limited (specialists in acoustic modelling and monitoring). Working alongside both companies, BSL has developed novel survey protocols to enlarge its capabilities for the implementation of DNA analysis and acoustic monitoring techniques into routine marine assessments alongside our standard survey operations. These new tools will enable BSL to model, acquire, monitor and interpret data cost-effectively to a precision well beyond that currently available in the marine environmental sector. Our specialist EMCAED™ protocol (Environmental Monitoring and Cuttings Assessment for Exploration Drilling) has continued to be successful in recent years, with multiple projects completed in Greenland, Central America and West Africa, and is becoming a legislative requirement in some countries. We have continued to manufacture and develop our bespoke equipment to ensure these surveys remain extremely cost-effective, whilst providing a flexible and innovative survey strategy. Furthermore, to remain at the cutting edge of commercial marine science, we are implementing additional DNA sequencing analysis and acoustic monitoring, providing further dimensions to these surveys and ensuring a better understanding of project outcomes for our clients. 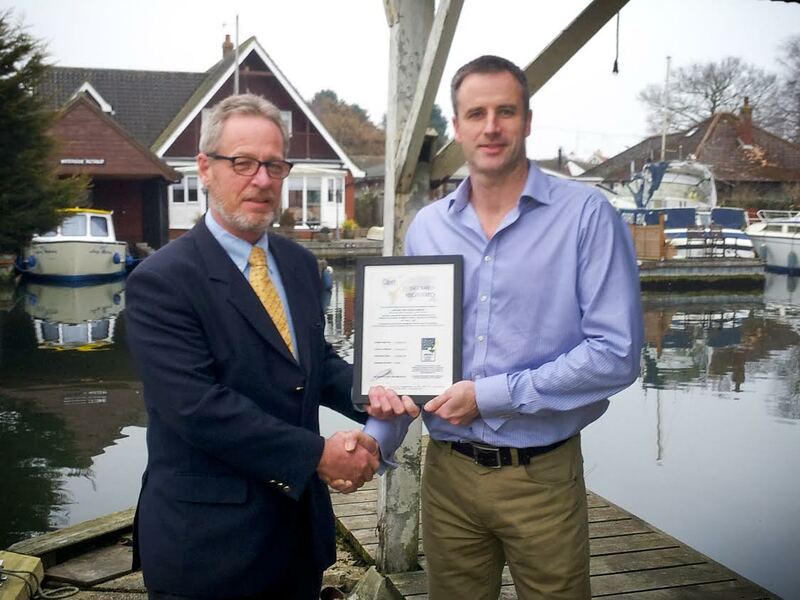 Benthic Solutions is pleased to confirm that in recognition of our environmental commitment and management plan, the company was awarded ISO 14001 certification in February 2015, presented by QMS International PLC. This, along with our existing quality assurance certification under ISO 9001 (awarded in August 2013) and our participation within the NMBAQC scheme over the past 5 years (for macro-invertebrate and particle size analysis), emphasises BSL’s continued commitment to improvement, and maintaining a high level of quality assurance for our clients.